The world’s leading retained executive search firms have a client blockage problem. A big one. And that problem makes executive search buyers and the leading retained search firms a bit wary of one another. That’s because client blockage makes executive search less effective. It’s like searching with one hand tied behind your back. If you are a retained search buyer, chances are you already know about client blockage. You may have even haggled over the fine print of those off-limits agreements. If you are new to retained search, buckle up. It is a gnarly issue. Regardless of whether you are a seasoned retained search buyer or a newbie, I am not just going to tell you about the crippling problem of client blockage. I am here to share insights on what you can do about it. In fact, client blockage, managed well, can lead to a better search experience. Companies retain executive search firms to recruit top performing senior executive talent. That’s because executive search firms are adept at reaching, engaging, and luring away the best-of-the-best leaders — the so-called rock stars. While on one hand, the companies love that retained search firms can do this, on the other hand, it leaves them a bit unsettled. In the backs of their minds, they worry that we might turn around and poach their talent. So, to sleep at night, search buyers started including off-limits clauses in retained search contracts. Whenever a retained search firm conducts an executive search for a client, the client usually insists that the search firm not recruit their employees. In other words, the client of a retained search firm must remain strictly off-limits. In fact, most retained search firm contracts include off-limits language that prevents a search firm from recruiting their people. The only thing is, those seemly innocent off-limits clauses have wreaked havoc in the recruiting industry. When a search firm cannot recruit from a target company due to off-limits agreements, that is known as “client blockage.” While companies love insisting that a search firm not recruit from them because they are a client, they hate it when that search firm can’t recruit from a competitor because that competitor was once a client. In other words, the more client blockage a search firm has, the less that search firm is able to recruit from all of the client’s favorite target companies. Client blockage makes it harder for the search firm to complete a search because they have fewer companies from which they can recruit. Most search firm buyers know this is a major drawback. 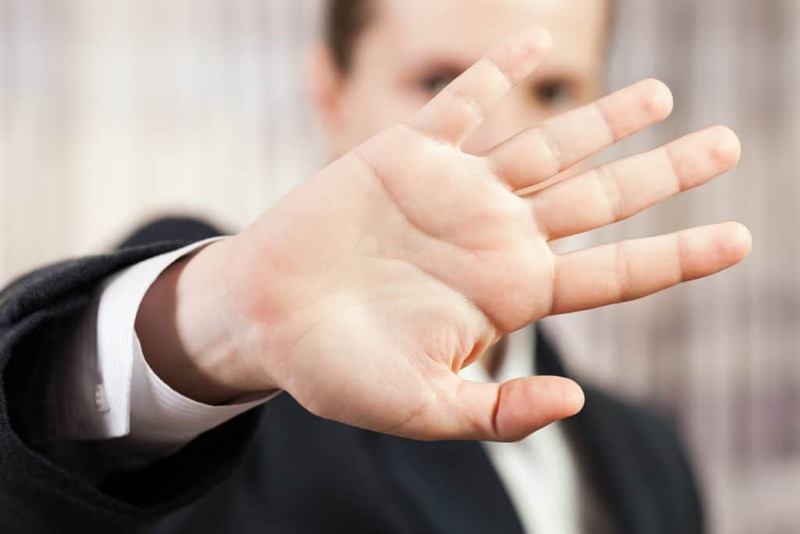 As a result, client blockage drives search firm business away. I first learned about client blockage when I joined a leading retained executive search firm in New York. I’d just left a successful career as a TV journalist and investigative reporter and was eager to apply my investigative skills to executive recruiting. But I’d go to work and every day, I’d see the searches . . . just . . . sit . . . there. I expected to hear the hum of executive search. Recruiters working the phones. Partners meeting with candidates and clients. Team discussions on how each search was going. Instead, the office was eerily silent. It turns out search partners and lawyers were meeting behind closed doors. They were desperately attempting to sort out what companies the firm could recruit from in its searches. That’s because this particular search firm had just been acquired by a larger recruiting conglomerate. As a result, there were multiple off-limits lists, one for each retained search firm that had been acquired. It was an absolute mess. Retained search partners from one firm did not want to be kept from recruiting from ideal target companies that were clients of another firm. But since these firms had been rolled up into a single company, they’d also rolled up their off-limits into a single massive list. The partners were absolutely beside themselves. At the time, it seemed like utter madness. Search firm lawyers culled through stacks of search firm contracts to determine what off-limits restrictions applied. Search engagement launches were postponed. Search partners scurried about in a panic. They now had far fewer companies from which they could recruit. The work of search was not getting done, all because of client blockage. You limit a retained firm’s ability to recruit from your ideal target companies. You limit a worker’s ability to advance in his or her career. You limit a search firm’s ability to grow and prosper from its expertise. I’m not making an argument against the use of off-limits. In fact, we at The Good Search and other boutique firms benefit from their very existence. (More on that in a bit.) Rather, I am acknowledging the practice sets up issues that can affect the quality of executive search, as well as your relationship with your employees and the search firms themselves. The more clients a firm has, the longer the list of companies that it cannot recruit from because those clients are off-limits. In other words, the larger a retained search firm is, the more its business is hamstrung by client blockage. Naturally, retained search partners at the leading global retained search firms — including Spencer Stuart, Heidrick & Struggles, Russell Reynolds, and Korn Ferry — chafe against the restrictions. Their irritation is understandable. The more they master executive search in an industry, sector, or function, the greater the list of target companies from which they cannot recruit becomes. As a result, many of the leading retained search firms do what they can to ensure they can recruit the talent they need. They do so by setting a strategy of not recruiting for certain companies so that they can recruit from them. Usually, the intentional non-client companies are “academy companies,” those known for cultivating great leaders. Consequently, if a leading retained search firm is not doing business with your corporation, beware. They may have set you as a target from which to recruit . . . frequently. Some say the best offense is a great defense. To defend their leadership talent from poaching, some retained search buyers dole out searches to as many of the leading global retained search firms as possible. It is not that they really want to do business with the likes of Korn Ferry, Heidrick & Struggles, Russell Reynolds, and Spencer Stuart. Rather, some retained search buyers see retained search firm relations as more like a game of chess. To protect their queen, they set a strategy to tie up large retained search firms with off-limits agreements. In other words, yes, Fortune 500 companies engage leading global retained search firms to conduct executive searches . . . sure. But, in many cases, the real reason they are retaining as many of the large search firms as possible is to prevent those search firms from stealing their talent. Of course, you need to be a very large, multinational corporation with a lot of executive searches to operate at this level. You need to average 20 or more executive searches a year for it to make sense to use the defensive “Johnny Appleseed” method. Sprinkling searches at $100,000 a pop does not come cheap. Still, it is not a panacea. Fortune 500 companies, in effect, are paying a kind of ransom to the major search firms to keep their mitts off their executives. Naturally, client companies resent having to do that. Worse, the leading retained firms are not always honest about the extent of their off-limits lists. One client recently complained that she didn’t learn that two of her top target companies were off-limits until after she had retained a firm. The retained firm hadn’t bothered to tell her it could not recruit for her two largest competitors. She was absolutely livid. She probably still is. A less costly, more effective way to ensure your search firm can recruit for as many target companies as possible is to use boutique retained search firms instead of those global retained firms. We’re one such boutique firm. Small search firms have shorter off-limits lists, meaning they get to recruit out of more of your favorite targets. In recent years, a growing number of corporations has turned to boutique search firms because they aren’t as hamstrung by off-limits constraints. In addition, many of these smaller firms offer a better search experience. As one such boutique, clearly we have a dog in this hunt. But you don’t have to take our word for it. The growing popularity of boutique search firms is well-reported. Hunt Scanlon Media, which covers the retained executive search industry, has noticed a change in search buyer preferences. In recent years, a growing number of search buyers is opting for lesser-known boutique search firms instead of the leading multinational retained firms. It turns out that “playing it safe” with better-known large retained search firms is not-so-safe after all, due to their huge issues with client blockage. What has been your experience with off-limits restrictions and client blockage? How have you dealt with the issue?